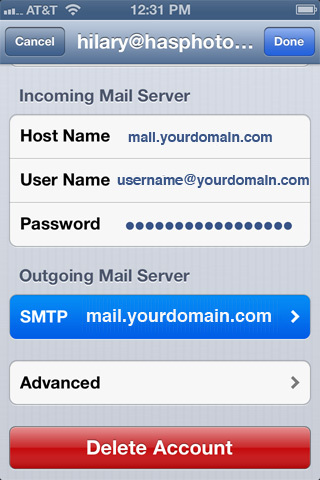 If you need to update your Outgoing Server (SMTP) settings at any point after you have set up your email account on your iPhone, this is how you access the Outgoing Server settings, and these are the settings you need to set them to, for you Jub Jub hosted email account to work (for LINUX hosted clients). 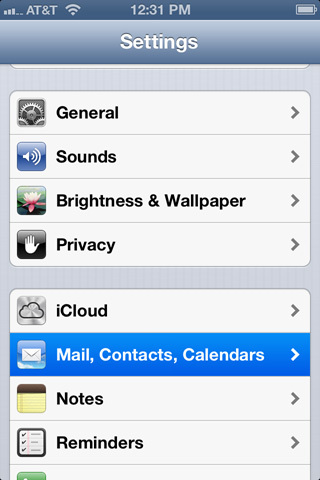 To get to these settings, click on SETTINGS on your iPhone. 5. 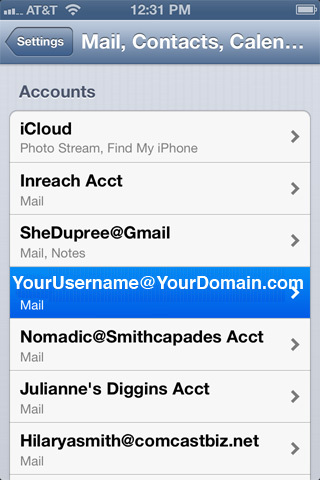 Now you will see a list of OUTGOING SERVERS that have been configured on your iPhone or iPad. The one that is currently set to be used with this particular email account is at the top and highlighted: Primary Server. So click on that one. 2. Authentication is set to "PASSWORD"
3. Outgoing Port is set to "587"
It will VERIFY these settings. If it does NOT verify, then something is wrong. It could be that your password is typed in wrong in this particular area, or did not get saved to this part of the email set up. So type in the password for your email account again, if you're getting an error, and see if that helps. Then simply click back to the main settings windows. Is a IMAP email configuration the best setup for you? Copyright © 2019 Jub Jub. All Rights Reserved.